Only right to have a product for todays electronics, this eliminated the need to carry a charger for the different electronic devices. When just made a whole to fit this box and gave it a 12 Volt supply. 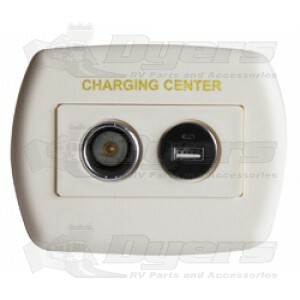 Trailer charging ports, what a novel idea.